In a horrific incident, Sonali Mukherjee’s face was intentionally disfigured forever on 22nd April in 2003, with acid attack when she was just 17 years old, by intruders who broke into her home in Dhanbad, Jharkhand, India. The goons, who had allegedly been sexually abusing her for years, poured the acid over her while she was sleeping.The incident made her blind and dumb. She became blind in both eyes and deaf in one ear. She completely lost her right ear as the reaction of the acid.After the incident her family along with Sonali, were forced to abandon their home in Dhanbad and her mother slipped into depression. She approached three chief ministers, Shibu Soren, Arjun Munda and Madhu Koda and three MLAs, but did not get any monetary help. Out of the three attackers, Tapas Mitra and Sanjay Paswan were released on bail six years ago and enjoying their lives now. The third accused Brahmadev Hajra was let off as he was a juvenile at the time of crime. Sonali Mukherjee’s family members are still living with fear. “On 25th August 2012, Crime Patrol, an Indian crime television series aired the true incident and brought this in front of the people of India. In the television series Sonali’s character was named as Mitali Das, here are the links to the videos capturing the horrific incident which is a real shame for Indian judiciary system. Now Sonali Mukharjee is 27 and the good news is that she is getting lot of support from people all over India, as a result after 10 painful years she is taking her first step towards a normal life. Sonali is continuously undergoing many surgeries and she is happy to see a huge support from all over the world. 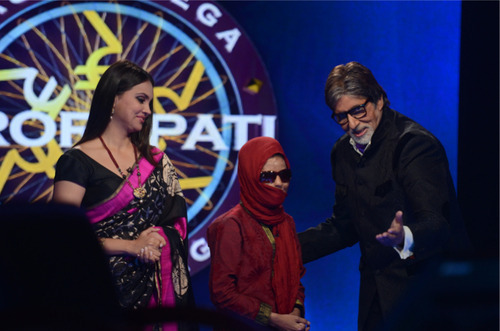 The acid attack victim Sonali Mukherjee from Jharkhand is about to come in the Kaun Banega Crorepati season 6 to gain some money for her re-custructive surgery. After 22 surgeries she can now hear and speak. Enter your email address to follow KLPDIndia and receive notifications of new posts by email.